For a walker, learning a city's neighborhoods is an important part of getting your orientation. Where am I? How did this place come to be? What is this area known for? 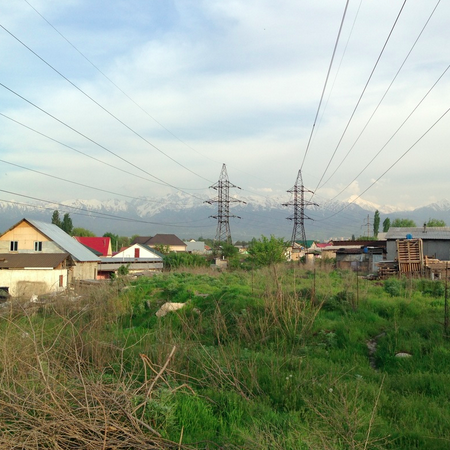 When I'm walking Almaty, I'm constantly asking these questions, trying to provide context to the landscape around me. Answers, I've found, are often hard to come by. In the US, cities are broken up obsessively into neighborhoods, and these spaces are often defined by the municipalities themselves, marked on maps, and represented by community groups. 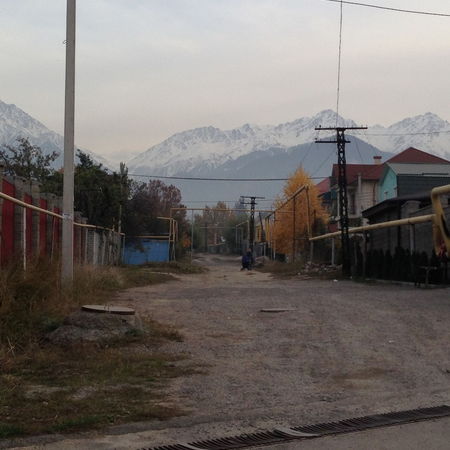 In Almaty, there are many areas that simply don't have names. Instead, locals refer to the closest big street. When an area does have a neighborhood name, it can rarely be found on a map. 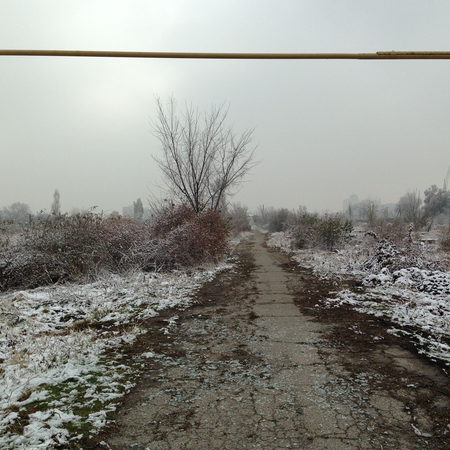 Because of this ambiguity, I set out to explore these spaces myself, write reports on my findings, and then work with local Almatians to make a collaborative map of the city's subdivisions. During my research I found out that Almaty does have neighborhoods, quite a lot of them in fact, and they come in several flavors. When the city was born in the mid-19th century, it was actually a collection of several distinct neighborhoods. The original settlement was called Malaya, or "Small", Stanitsa. A Stanitsa was a kind of village in the Russian empire that would be founded by Cossacks, a class of horseback warriors who were sent to guard the borderlands. 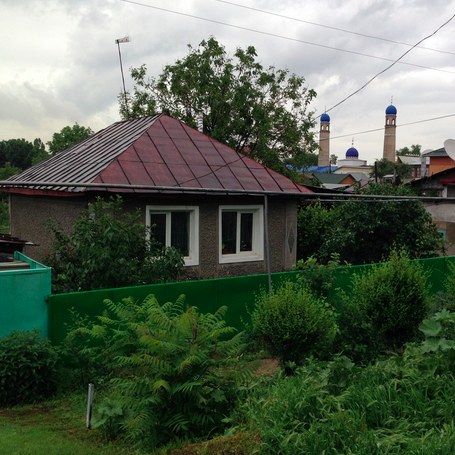 Later came Bolshaya, or "Big", Stanitsa, and a Muslim neighborhood called Tatarskaya Sloboda, or Tatarka. 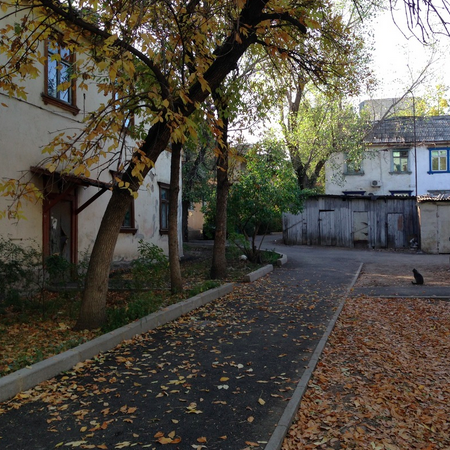 All of these neighborhoods still exist today, though they've been swallowed up by the city that eventually grew to the west, Verny, a city we now call Almaty. 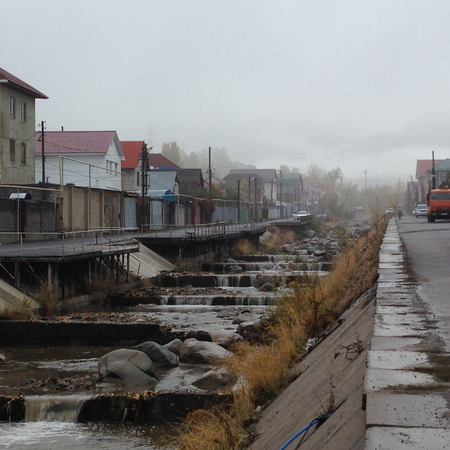 A few other neighborhoods are also defined by their historical importance, like the central district of Zolotoy Kvadrat [Золотой Квадрат], or the "Golden Quarter," that was built up mostly in the Stalinist era. During the 1930s, agriculture in Kazakhstan was collectivized, and small villages sprung up around state-run farms called kolkhkozes and sovkhozes. 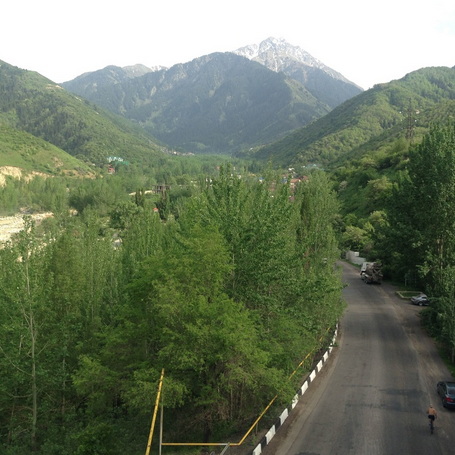 Almaty had several of these farms as orbiting satellites, working outside the city's boundaries but selling their goods in its market. 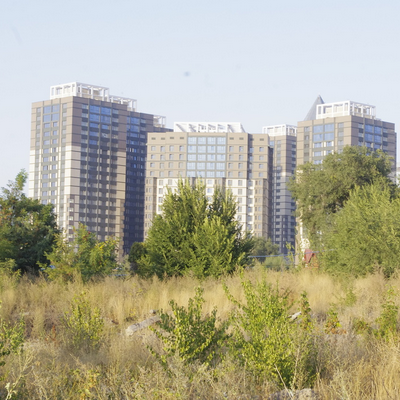 As the city sprawled outwards, these farms, like Druzhba, Gorny Gigant, or Alatau, were eventually swallowed up and incorporated into Almaty proper. These days, they maintain a village atmosphere, but the stables and farm equipment are almost all gone and their citizens commute to work in the center. A famously untranslatable word from Russian is the dacha, a modest cottage people keep for summer getaways and growing vegetables. 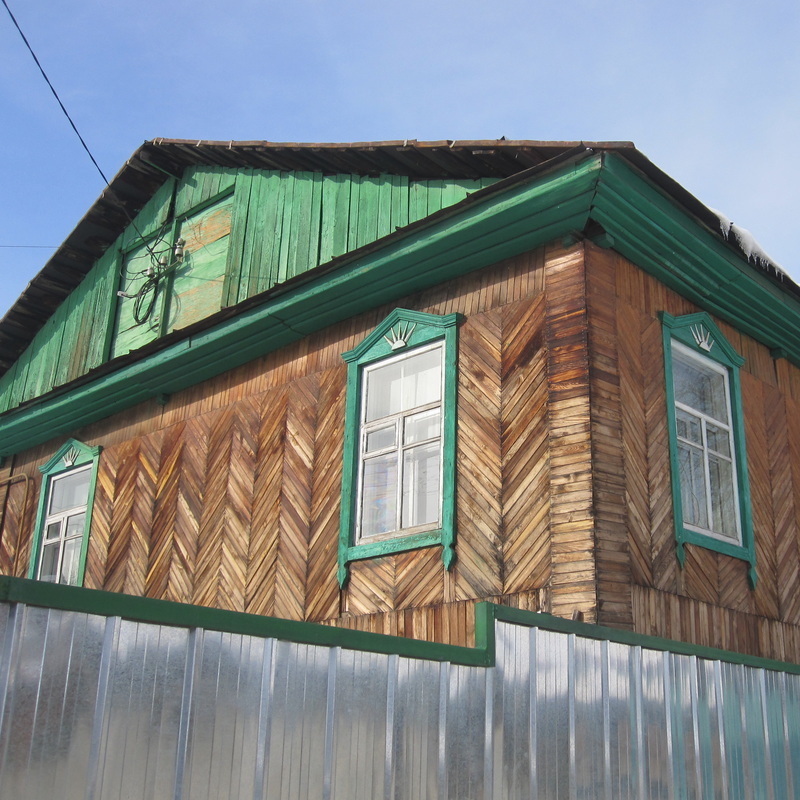 Russian dacha culture was exported throughout the Soviet Union, and in the foothills around Almaty you can still find districts like Shirokaya Schel and Kamenskoe Plato where city folk were given small plots of land. Even though many of these neighborhoods lack running water, they became year-round settlements in the 1990s when apartment dwellers sold their country homes to make ends meet and the new tenants got cheap places to live. You can still see bulletin boards for the various dacha cooperatives, like "Mechanics-2" or "Electricians-3," that were tasked with the upkeep of the neighborhoods, and these names give you an idea of how the lots were divvied out to different workers' unions. 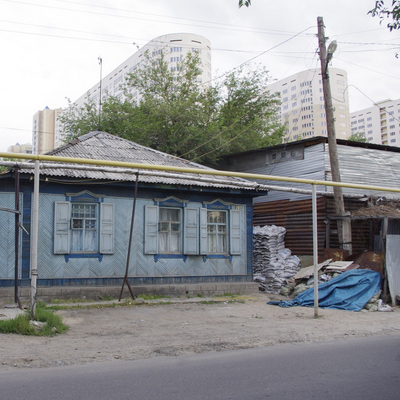 The Soviet Union was famously tasked with building an advanced industrial state out of a land of peasants, and so it's no surprise that many Almaty neighborhoods arose around the institution of the Soviet factory. 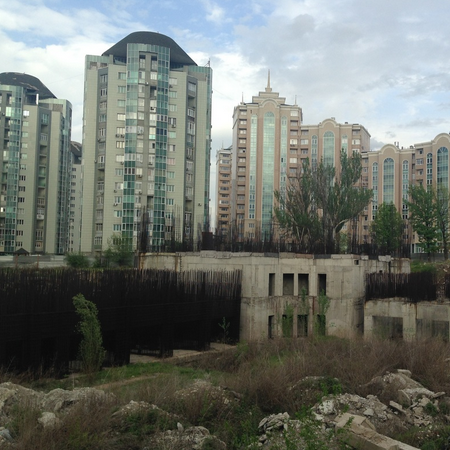 In Almaty you can find several districts of cottages and low-rise apartment blocks built around aging or shuttered industrial operations, like Plodik, built near the central fruit cannery, or Myasokombinat, built near the meat plant. These "worker's neighborhoods", or rabochye gorodki [рабочие городки], would anticipate the more ambitious microdistricts that were to come after the rise of Nikita Khruschev. Microdistricts were housing projects organized by the Soviet planners from the top down, envisioned as self-contained bubbles of socialist life with their own schools, child care centers and bazaars. There's a whole borough in Almaty, Auezov District, that consists almost entirely of places like "Microdistrict 1" and "Microdistrict 12", and these are the few neighborhoods in Almaty that are marked on maps, given strict boundaries, and included in addresses. I found it strange that although historic neighborhoods like Malaya Stanitsa and the Golden Quarter are mentioned often in materials about Almaty, you could rarely find them on any modern map. 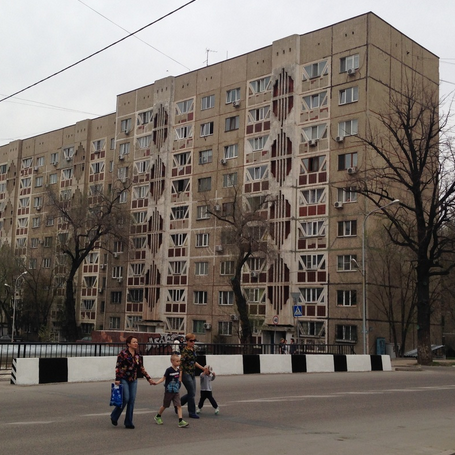 High-rise microdistricts make the cut, but for some reason, neighborhoods in the one-story chastny sektor [частный сектор; "private district"] are made invisible. That's why I set out to make my own map of Almaty's neighborhoods. My first attempt incorporated several types of data. Some historic areas were delineated on old maps, so I drew those out on Google. 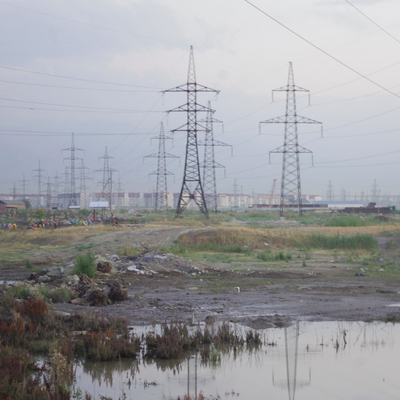 Next, there were some cottage districts I knew whose boundaries were naturally well defined, like Nizhnyaya Pyatiletka Turksiba [Нижняя пятилетка Турксиба; "Upper Turksib Five-Year-Plan"], isolated above the Almaty-1 train station, or Rabochy Gorodok, hemmed in by a cemetery and a main thoroughfare. I determined the approximate boundaries, and names, of other districts by finding them mentioned in listings on real estate websites like krysha.kz, plotting out associated addresses until I could see a general pattern. Soon I realized that I needed to tap into the knowledge of lifetime Almatians, people who have watched the city grow and know its every corner. As part of an exciting forum of local city activists called Almaty Urban Re-Hub, I led a workshop where people were given fold-out maps of Almaty, sharpies, and my most extensive list of Almaty neighborhoods, then asked to their outline the neighborhoods they knew on the maps. I got several great marked-up maps, then digitized the lines and added them as new layers to my Google Map. Eventually these allowed me to discover a good number of neighborhoods I didn't know before existed. As you can see from the map on my About page, I've walked nearly every part of the city in the two years I've been doing this project. Here you can read stories and look through photos from some of my neighborhood adventures.